Company Manager appreciation day at Michael’s incredible city loft! Right down one of the famous Melbourne CBD alleyways, Michael’s loft is over a tattoo parlor. 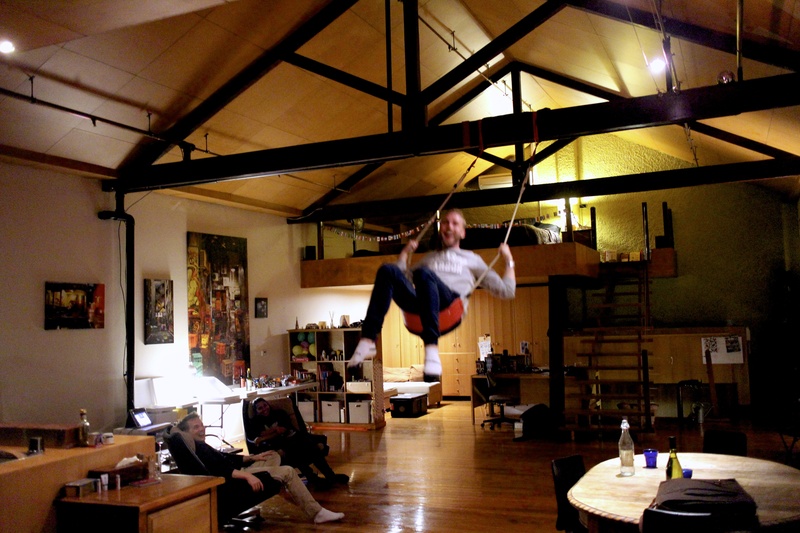 It has the best swing right in the main space – and JJ took it for a whirl! This entry was posted in CBD and tagged Alleyway, Loft, Loft Living, melbourne, Melbourne CBD. Bookmark the permalink.